Editorial Team Note: Bout time someone made a stand. It’s to the point where people are afraid to speak. It has to STOP and these parents know how to turn up the heat! Fearlessly turning up the heat! Rabid LGBT activists, corrupt library officials, and even police try to stop parents. 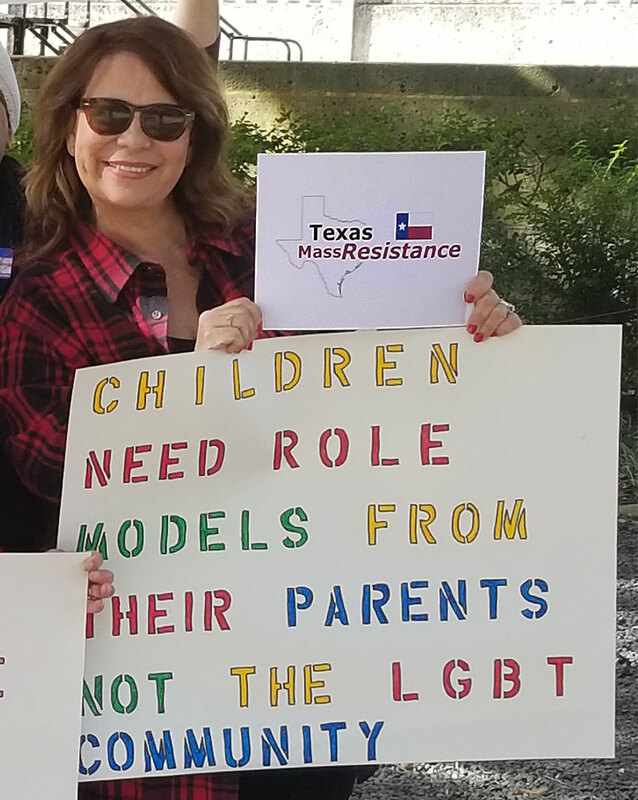 This Texas MassResistance mother is not afraid to speak out about this insane situation! Town forced to move City Commission meeting to gymnasium because of uproar. MassResistance parents make huge statement in a liberal suburb! Report from Detroit TV station. We really got their attention – even though they got the “California” part wrong! A pro-family revolt in Michigan has begun. 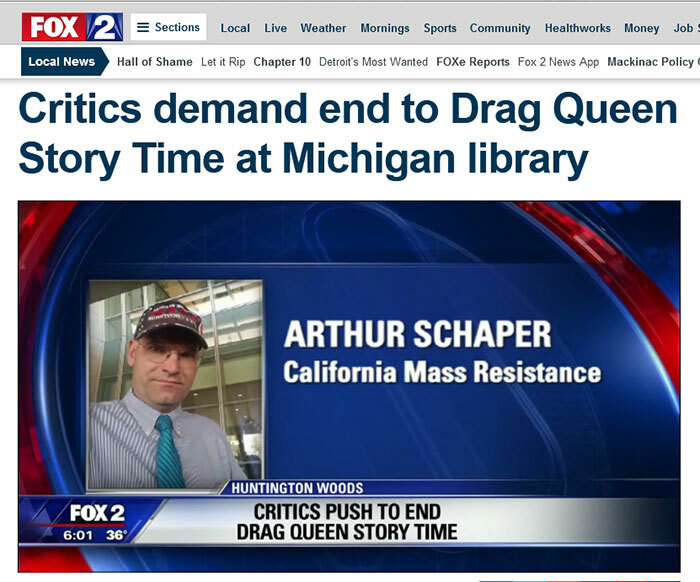 Michigan MassResistance parents confronted the “Drag Queen Story Hour” targeting young children in Huntington Woods, an affluent, fairly liberal suburb of Detroit. Our efforts were soon reported across Michigan by the Detroit-based media. As a result, hundreds of LGBT supporters converged on the Dec. 18, 2018 Huntington Woods City Commission to demand the event continue and intimidate parents opposed to it. Nevertheless, MassResistance parents came in and testified, unintimidated, and made their point loud and clear. The next day, the statewide media storm continued – reporting MassResistance’s opposition!